Deonta Vaughn set the UC record for career assists with 505, and for 3 pointers made, 307, during the game with Weber State. Congratulations to Deonta Vaughn. That's quite the impressive feat, and I'm very happy that he pulled it off. 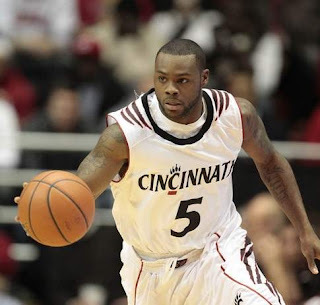 Deonta will be remembered as one of the best Bearcats to put on the uniform. We here at the Bearcats Blog are proud, and happy for Deonta Vaughn. Congratulations Deonta.